Programs have two versions - basic version is free of charge, optional version is paid (customer obtains licence card with installation code). Installation program is common for both versions of program (basic and optional). When program is running first time, it asks installation code - if code is entered, program will run as optional version. If no code is supplied, program will be installed as basic version. 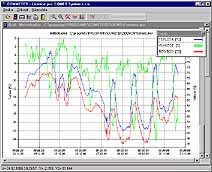 SWR004 (30.0 MB) - program for all temperature, humidity, voltage, current loggers "BlackBox" (models Rxxxx, Sxxxx, Lxxxx, Gxxxx), for new COMMETER loggers (models Dxxxx), for loggers with printer (T-PRINT) and older loggers (models ZT, ZT1EXT, ZT4EXT, ZT65, ZT65EXT, ZTH, Z420, Z01V, ZP, ZV, ZS), Ver. 4.0.11.0. History of versions. Program is available to download on database programs page. Description of DBL Logger Program. Windows 2000 and higher driver for USB infrared communication adapters for loggers L..., R..., S... (driver is installed automatically when you install Program for dataloggers on machine with Windows 2000 or higher so there is no need to download driver separately). or as ZIP file (0,9MB). Unzip this file to harddisk folder and plug USB cable into computer's USB port. Windows try to find appropriate driver - enter where unzipped files are placed. Folder with files can be erased after installation and computer should be restarted. Please install this driver only if you really need it - e.g. you need to configure modem by direct serial cable connection. If you want to use SNMP protocol with LAN adapter, download MIB tables (21 kB). Current firmware version (43.01.2014) for LAN adapter: 2_4_3_02.ROM (37 kB). 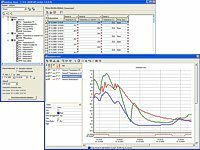 It is possible to download demonstration record files for above programs from different data logger models. To view demonstration record files install proper logger program first and then demonstration data.